The symbol, the stand in, the glyph, the letter, the synecdoche, the totum pro parte. Our minds and our world are built on metaphors, as ways of thinking, feeling, and communicating; the figurative slippages that symbols allow for have always been where the most interesting stuff happens, where intent and meaning don’t sync up. With the constant rapid creation of new symbols and their memetic dissemination it’s worth asking if we are creating more space for those poetic slippages or if we are breaking down traditional language, dissolving what it means to mean. The works by Mary Elizabeth Yarbrough and Mik Gaspay included in this exhibition use a variety of media and materials, from video to ready-mades to laser cut in laid plexiglas and are trafficking in the nature of symbols, the visual language of their design and efficacy, and how objects can travel back and forth between the specific and the general. Mik Gaspay is a San Francisco based painter, sculptor, and video artist who frequently explores themes of assimilation, cultural appropriation, humor, and history. He received his MFA in painting from the California College of the Arts in 2011 and has shown widely in the Bay Area including the Asian Art Museum, San Francisco; Root Division, San Francisco; SOMArts, San Francisco; and Berkeley Art Center. He is also currently on the curatorial council of Southern Exposure. 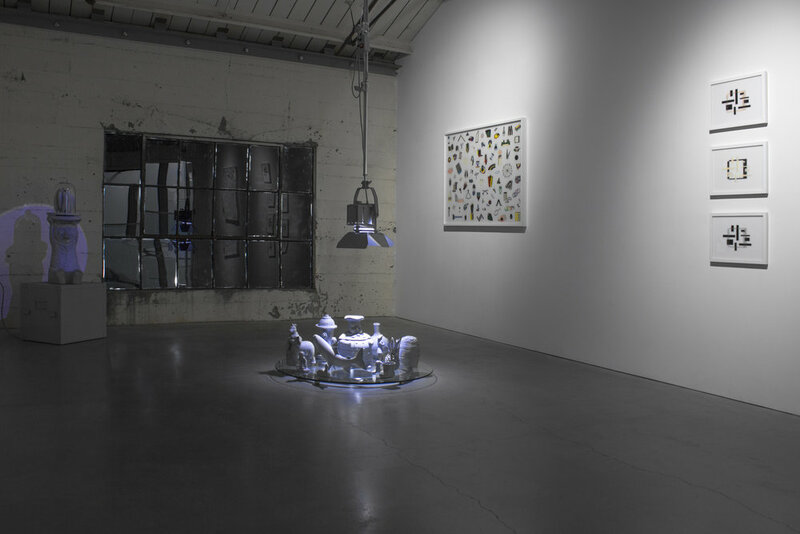 Mary Elizabeth Yarbrough is a San Francisco based multi-disciplinary artist whose practice incorporates advanced industrial tools and materials to augment traditional processes, creating friction for both in the process. She received her MFA in furniture design from the California College of the Arts in 2002 and has exhibited her work nationally and internationally including; Luggage Store, San Francisco; New Image Art, Los Angeles; Kunsthall Fridericianum, Germany; and The Hara Museum, Tokyo. She was the recipient of the Arteles residency in Hämeenkyrö, Finland, and the 2015 San Francisco Arts Commission Individual Artist Grant.